Corporate Event Management Services In Delhi NCR, India. If you are looking for expert help for the perfect planning and execution of your next event, BeyondFrame can help you. As your corporate event planner, BeyondFrame offers Project Management, Project Administration, Program development, Speaker management including contracting and fulfillment, Registration management, Event communication, promotion, marketing and branding, Print production, AV coordination, Operations management and logistics management, Hotel/ facility management, Post event support. BeyondFrame will ensure everything goes absolutely smoothly and exceeds your expectations - right from the proper conception of the idea to perfect execution. Send email at exhibit@beyondframe.com or dial +91-11-24122078, +91 98681 22078, 9560396946. 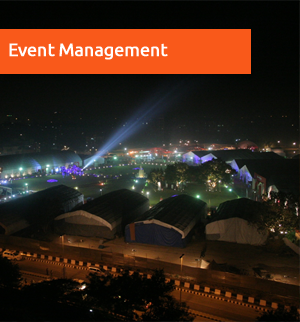 Beyond Frame is one of the best Event Management Agency in India. 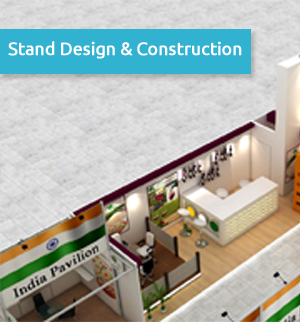 A ‘One-Stop Solutions’ in Corporate Event, Design and Build services that you need. It includes Exhibition Stand Design and Construction, Pavilion Design and construction, Exhibition booth builder, Booth design and stall fabricators, shell scheme stands, Custom Stall Design, custom build exhibition stands, Wooden Stall Design and Builder, Installation services, Expo Stand Hire, Expo Stand Storages, Expo Graphics, Printing Of Poster( Digital, Vinyl, 3d Cut Letter, Led Acrylic Letters, Backlit Poster), In-House Fabrication with Project Managers, Supervisor, Carpenters, Painters, & Electrician. Beyond Frame Exhibition Stand Design and Construction services are available in Delhi, Noida, Mumbai, Chennai, Bangalore, Ahmedabad, Pune and other parts of India. Our Professional Exhibition installations services will help you, for all of your Custom Trade Show Exhibition Booths. Beyond Frame offers full-service custom exhibit designs in the London, Poland, Germany, Singapore, Russia and UAE. Are you looking to exhibit in India? Are you a company based outside of the India and looking forward to participate in a trade show or exhibition Pan India? If you are exhibiting in following fairs and need the services for Stand Design and Construction to stand out against other exhibitors. BeyondFrame provides exhibition stand design solutions for Local or Overseas Exhibitior who are looking for best stand designer companies in following trade fairs. PLASTIVISION ARABIA, UAE | WETEX DUBAI SOLAR SHOW. Other fair queries than the listed above are also welcome. To find out how we can help you with your stand design and construction needs for your upcoming events. To find out how we can help you with your corporate events needs for your upcoming events. BeyondFrame is a one stop solution provider from designing and execution of world-class Exhibition Stands, managing Events & Conferences to online promotion of an exhibition booth across India. State of the art manufacturing facilities including Printing set up in India with complete in-house production facility enables us to deliver international quality exhibition stands worldwide.